Hello everyone, today I’m doing a Victorinox watches review. I’ll be doing an overview of the brand before finally featuring 5 of their best selling watches. Victorinox are primarily a Swiss knife manufacturer that’s based in Ibach, Canton of Schwyz in Switzerland. Since their purchase of river knife produces Wenger in 2005 they are now the sole supplier of multi-purpose knives to the Swiss army. Victorinox started producing watches in 1989 under the brand name “Swiss Army” in the United States. These days they have various ranges of quality Swiss made watches that range from luxury dress watches to rugged dive watches. You can learn more about Victorinox on their wiki page. Are Victorinox Watches Any Good? Well, are Victorinox watches actually any good? 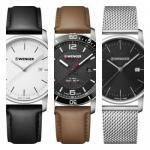 Victorinox makes some of my favourite affordable Swiss watches. They’re well-built timepieces by one of the largest producers of Swiss knives in the world. Victorinox pride themselves on producing high quality Swiss made products like knives, watches and more. In my opinion, the brand offers both value for money and a wide range of styles and designs which is exactly what I look for in a good watch brand. 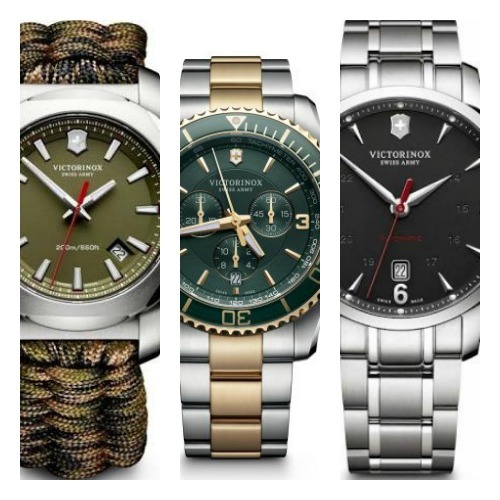 Below I’ve featured 5 of the most popular Victorinox watches currently available. If you have any questions about any of the Swiss Victorinox timepieces featured just comment below and I’ll help you out as soon as I can. First up on today’s Victorinox watches reviews list is this stunning mid range watch. This model features this stunning dark green and gold blend that gives it a luxury finish. The casing is made of stainless steel with a diameter of 43mm and a thickness of 13mm. 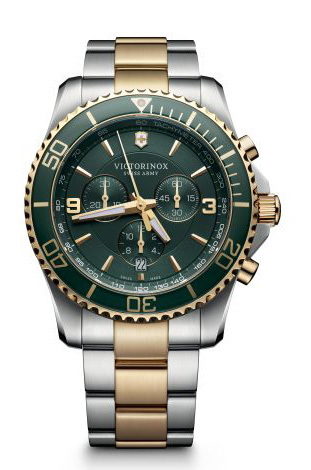 The coin edged bezel rotates uni-directional and is finished in a two tone PVD gold and green. 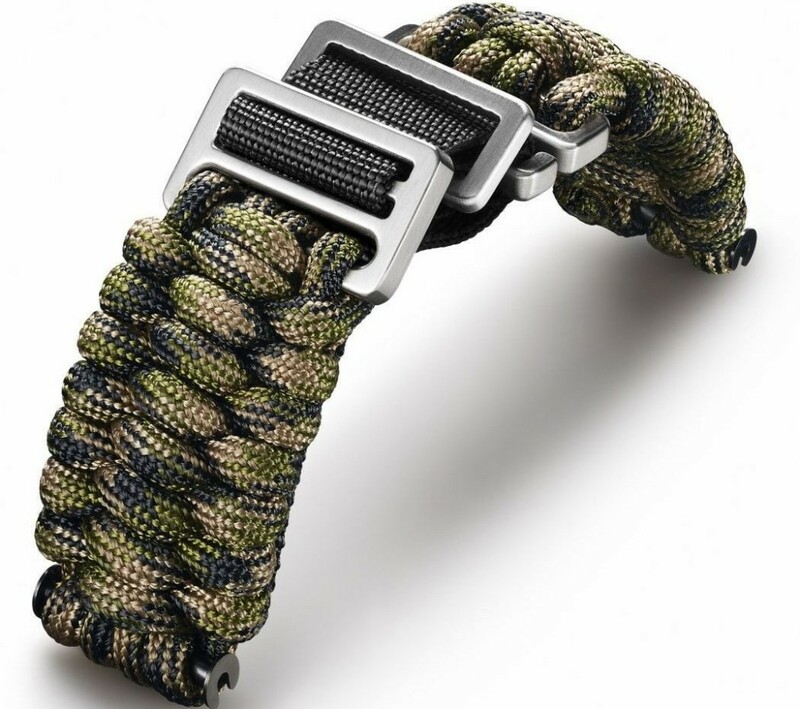 The strap comes in a two tone stainless steel and PVD gold plating and fastens with a fold over deployment clasp. The dial is finished in a deep green to match up to the bezel and features gold plated detailings for the hands and hour markers. There are three chronograph sub dials on display as well as a date function at the 6 o’clock position. 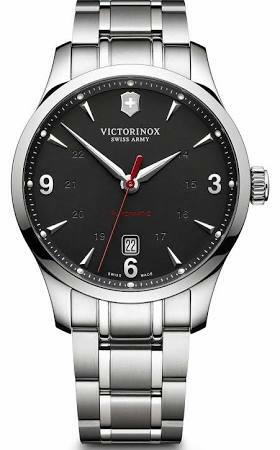 Powering this men’s Victorinox Swiss Army watch is a reliable and accurate Swiss quartz movement. An anti-reflective sapphire crystal glass offers excellent protection from scratches and lowers the amount of glare on the watch. It also features a 100m water resistance rating. 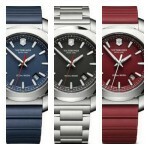 You can read my full 241693 Victorinox watches reviews here soon. Next up on today’s list of popular Victorinox watches for men is this Alliance chronograph. It’s built with a 45mm stainless steel casing that has a thickness of 11mm. The strap is also made of stainless steel and fastens with a push button deployment clasp. The dial comes in this brilliant deep blue colour that really stands out. There are silver coloured hands and hour markers which are easily visible against the darker background. It also features a coating of lume on the hands and hour markers. There are two chronograph sub dials on show as well as a day and date display. At the heart of this Victorinox chronograph watch is an accurate and reliable Swiss made quartz movement. A sapphire crystal glass gives you a very high level of scratch resistance, and due to the anti-reflective coating, you also get a smaller amount of glare. 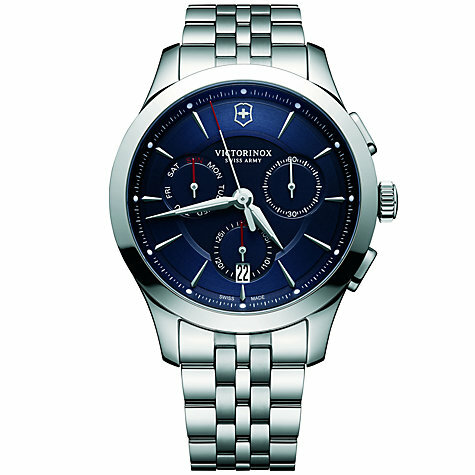 This men’s Victorinox Swiss watch also has a 100m water resistance rating. You can read my full 241746 Victorinox watches review here soon. 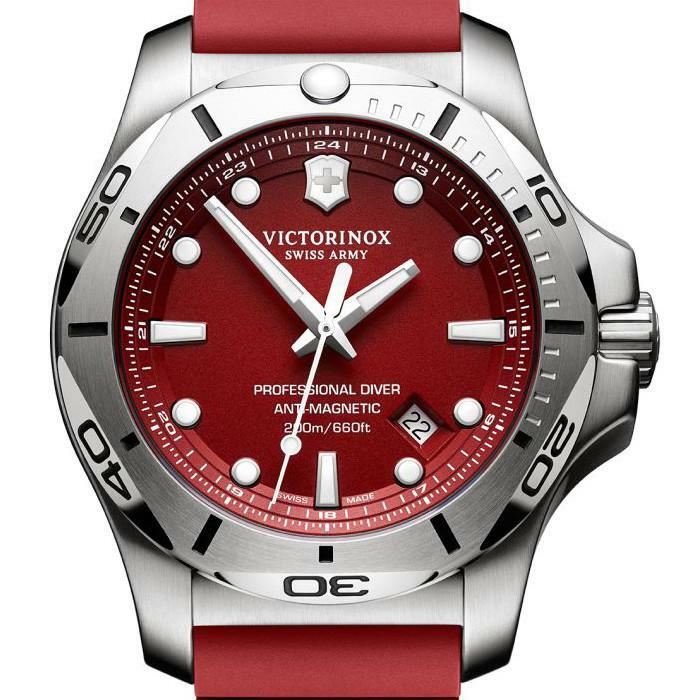 Here we have a professional affordable dive watch from Victorinox. This model features a stainless steel INOX casing that has a diameter of 45mm and thickness of 15mm. you can find out more about Victorinox INOX watches here. The strap of this men’s Swiss watch is made from a red coloured rubber and fastens with a buckle type clasp. As is common with any decent diving watch this model has a high visibility display with bold white hour markers and hands that stand out against the red background. They also feature a coating of lume for better visibility in dim lit conditions. A date display can also be found at the 4.30 position on the dial. This Victorinox diving watch is powered by a Swiss quartz movement for accurate and reliable timekeeping. They’ve used a sapphire crystal glass on the front of the watch for excellent scratch resistance, like the previous models this also has an anti-glare coating. It also features a 200m water resistance rating. You can read my full 241736 Victorinox watches reviews here soon. If you’re looking for an automatic Victorinox watch this next modest timepiece could be right for you. 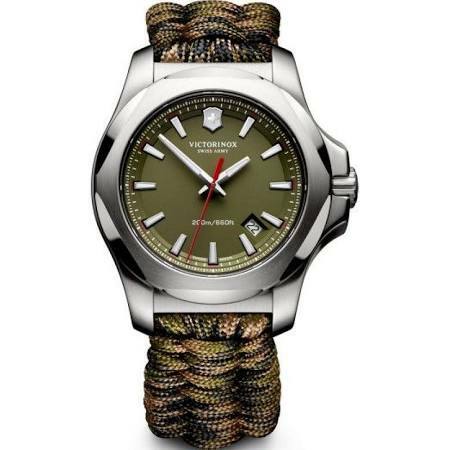 This gents Victorinox watch is built with a 40mm stainless steel casing that has a 10mm depth. The strap is also made of stainless steel and fastens with a push deployment butterfly style clasp which happens to be one of my favourites. The dial has a smart design to it with silver applied hour markers and hands that are easy to read against the black background. There’s also a useful date function at the 6 o’clock position on the dial. This Swiss Victorinox watch is powered by a Swiss made self-winding automatic movement. These are popular as they are powered by the movement of your wrists and never require a battery. You can actually view this movement working away through the rear exhibition caseback. A sapphire crystal glass protects the front and rear of the watch from scratches. This model also has a 100m water resistance rating. You can read my full 241669 Victorinox watch review here soon. Last up on today’s list of some of the best Victorinox watches available is this INOX Naimakka timepiece. This model features an INOX stainless steel casing with a 42mm diameter and thickness of 14mm. The strap has been pretty popular with its corded design and special clasp (see below). The dial features a simple easy to read display with lume covered hands and hour markers that make it much more visible in dim lit conditions. There’s a useful date function displayed at the 4.30 position on the dial too. I quite like the red seconds hand as it adds a nice dash of colour to the dial design. Powering this final Victorinox INOX watch is a Swiss made quartz movement for accurate and reliable timekeeping. A sapphire crystal with anti-glare coating protects the dial from scratches. This model also features a 200m water resistance rating. You can read my full 2417271 Victorinox watches reviews here soon. As always I’d like to say a massive thank you for taking the time to read through today’s latest article on Victorinox watches. 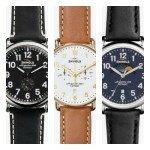 What was your favourite watch featured today? Comment below and let everyone know.